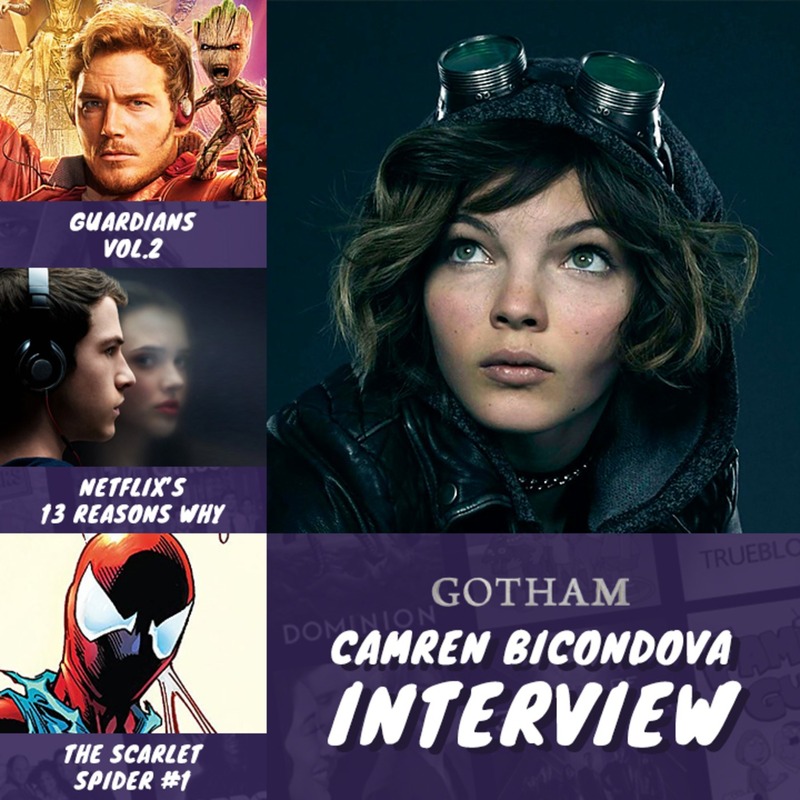 In this episode we interview Camren Bicondova who plays Selina Kyle in Gotham. She chats to us about her experience on set and hints at Selina’s development in the rest of the series. We also discuss the first series of 13 Reasons Why, we review Guardians of the Galaxy Vol.2 & also the Ben Reilly: Scarlet Spider #1 – enjoy!